And that's a really wonderful thing. When you’re a teleporting magician that can astrally project their consciousness, what does death even mean? 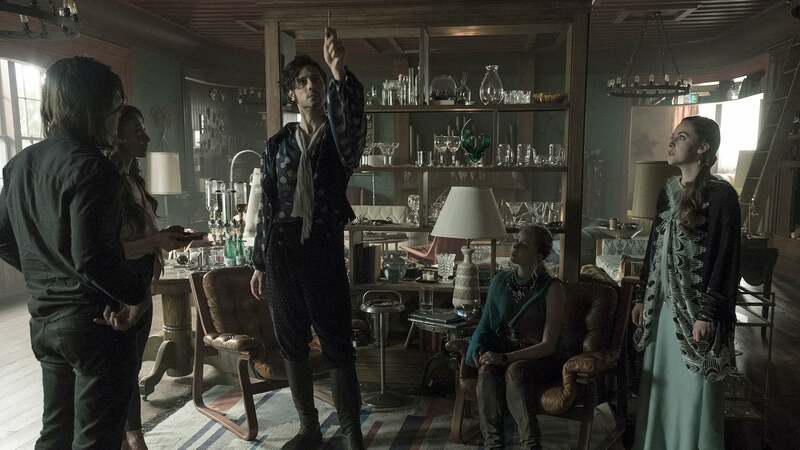 In Wednesday’s “Be the Penny,” The Magicians offers up a collective shrug in the most entertaining way possible. “Be the Penny” is all about the fallout to that moment. The magical implications behind it all might be confusing, so rest assured: Penny is dead. By the end of the episode, his body is burned for good measure. Penny is 100 percent dead, but he still exists in some form. What could that possible mean for him moving forward? The episode follows Penny as he teleports to and from his various friends, trying to get anyone to see his projection on the astral plane. He even encounters the “pervert ghost” of Brakebills, Hyman Cooper, who’s also been stuck on the astral plane since the 1920s. Cooper teaches Penny that astral beings can inhabit various objects, and Penny starts by inhabiting, well, a penny. Penny plays a fly on the wall, unseen except for his brief encounters with Cooper, watching his “friends” across various worlds not mourn him properly. He struggles in vain to communicate with them, but without magic it isn’t easy. A high point comes when he inhabits the Margolem and Quentin beats it to death like he’d seen a zombie. Hyman Cooper, a relic from the Twenties, serves as a hilarious entrypoint into Brakebills history; He does double duty as perhaps the biggest fan of The Magicians, totally fanboying over Quentin and Julia’s tension and offering commentary on the various quests and relationships. Hyman Cooper really ships Quentin and Julia. Julia and Quentin explore a hidden dorm and encounter dangerous ghost in a comical bit of world-building. Yes, they get a clue about the location of the next key, but Penny’s able to fight the ghost. He’s stuck in the astral plane, but a ghost has one foot in each plane. 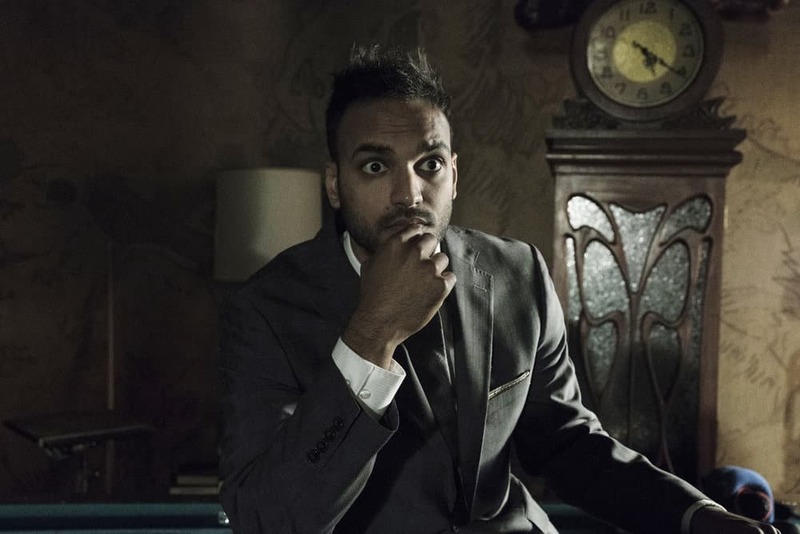 It’s always a marvel when The Magicians is able to simultaneously expand upon previously established concepts that also serve the active plot in such ways. Similarly, Penny’s journey serves as a refreshing narrative device as we pretty much just follow him as he Travels around, checking in with each character. Gauging each character’s reaction to his death makes for compelling television, especially when we have to watch with Penny as his body burns. Just when all hope is lost for our dear Traveller, Quentin and Julia retrieve the second key from a member of the Brakebills board of trustees just before Eliot and his family show up for a delightful reunion. A reunion we've all been waiting for. We come to realize that each key is indeed magical in nature, and each has its own unique power. The first, retrieved by Eliot in Fillory, can create illusions. The second, stolen by Julia, reveals the truth about a person’s nature but also hidden objects. Naturally, Eliot fearlessly picks it up and finally sees Penny in the episode’s end. So maybe there’s hope for him? We’ll have to wait until next week to find out. 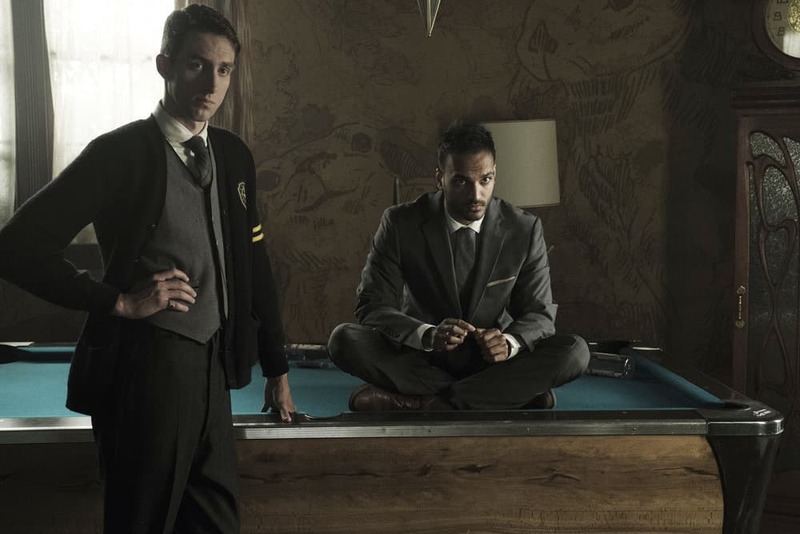 The Magicians airs Wednesdays nights on Syfy at 9 p.m. Eastern.